There were no off-color expletives or rude hand gestures; although, considering the events of that evening, such behavior would have certainly been understandable. It was a Thursday night, and I left work early, just at the moment that dusk was giving way to the evening's darkness. I hurried through local traffic to pick up Nadya, my friend, my fellow mindfulness practitioner and co-founder of the mindfulness group at my workplace. Nadya was working from home that day and as luck would have it, a last minute cancelation produced a spare ticket to the sold out speaking engagement of mindfulness guru, Jon Kabat-Zinn. When I arrived at Nadya's house, she was already waiting for me on the corner of her street. She hopped into my little black hybrid car and we began our trek into New York City to the Symphony Space Concert Hall in Manhattan. Like seasoned Buddhist monks, we met each traffic jam with calmness and equanimity. "We will get there when we get there," Nadya affirmed wisely in her delightful Russian accent. Nevertheless, when the brake lights in front of us shone brightly, I instinctively glanced at the ETA on my GPS. I watched the time swing back and forth like a pendulum from 6:55 p.m. to 7:25 p.m. --- our event was scheduled to begin at 7:00 p.m. However, regardless of the displayed ETA, I embraced my mindfulness practice and reiterated my friend's words that we will get there when we get there. 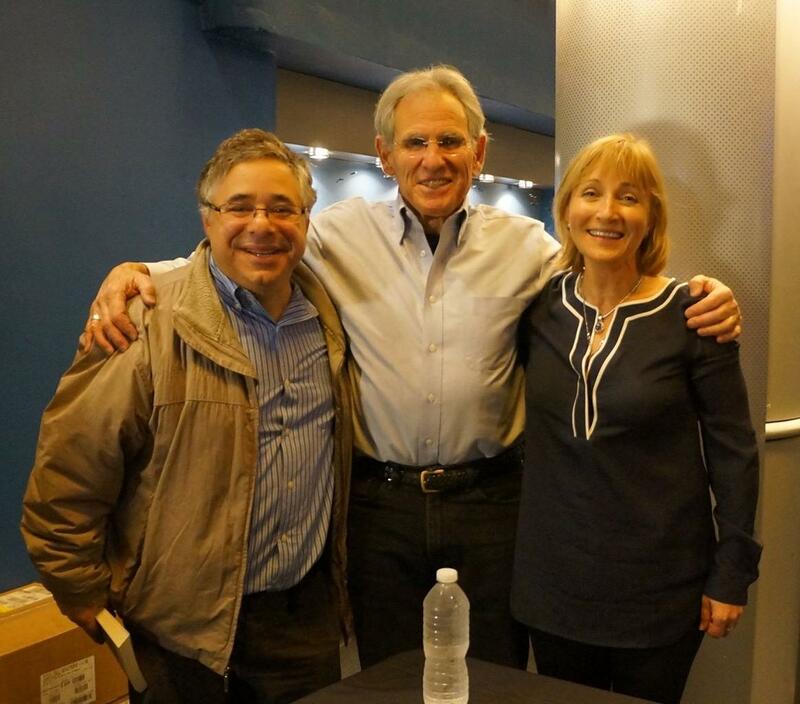 Considered by many as a "rock star" of mindfulness, we sat in the stop-and-go traffic excited and brimming with anticipation to hear Kabat-Zinn speak. Kabat-Zinn's program, Mindfulness-based stress reduction (MBSR), which he created in 1979, uses techniques such as present moment awareness, meditation and yoga to help people cope with stress, anxiety, pain and illness. I had learned about Kabat-Zinn's teaching through the mindfulness program at work, a teaching that surely came in handy that night as it promotes the non-judgmental acceptance of the only moment that ever truly exists --- the present moment. However, as we sat frozen in the packed Lincoln Tunnel, just a few short miles from our destination, the poem "The Guest House" by Mewlana Jellaludin Rumi came to mind. A poem that our mindfulness teacher had recently shared with us and that beautifully equates our human experience to that of a guesthouse where events of both good and bad appear. 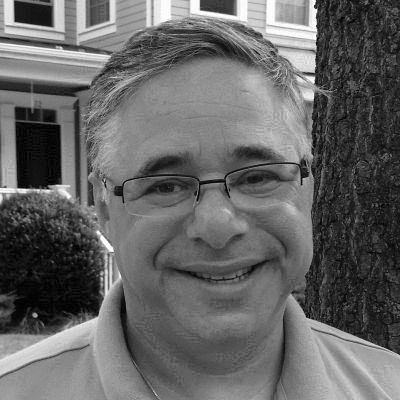 The poem encourages us to welcome all experiences, "Even if they are a crowd of sorrows, who violently sweep your house empty of its furniture..." The poem recommends to, "treat each guest honorably. He may be clearing you out for some new delight." As we approached the exit to the tunnel, my little car began to rev its engine getting ready to be released into the city. The driver in the car to my right was honking his horn and waving his hands wildly. I didn't know if I had inadvertently angered an already irritated driver or the man was signaling that some loose part on my car was flailing in air now that my car was finally moving. As his lane of cars sped up, he slowed down to keep pace with mine. I realized that the man was wearing a floppy knitted ski cap with a large New York Mets logo on it. The man was pointing to the logo and giving me a big grin along with a thumbs-up; a hand gesture I was not expecting. Presumably, my new best friend had noticed the Mets stickers on the back of my car. Apparently, Nadya and I were not the only ones in the Lincoln Tunnel that night who were anchored in the present moment. Happily, Nadya and I waved back at the man as the two cars separated into the city night. The traffic was now moving and we reached the concert hall just as the car's clock displayed 7 p.m. However, our story does not end here. The world-renowned spiritual teacher Ram Dass once said, "If you think you're enlightened go spend a week with your family." Perhaps, it could also be said that if you think you're enlightened go try to find parking in New York City. Nadya and I spent the next hour searching for an elusive parking spot. We drove up and down streets finding empty spaces filled with promise only to be thwarted by fire hydrants and yellow-painted curbs. We zipped down parking garage ramps to discover no spaces available and then forced to drive backwards up the ramps into traffic. When we arrived at a garage supposedly filled to capacity, Nadya noticed a seemingly small vacant spot on the side. Like a Jedi warrior, she jumped out the car and told the attendant that, "we will be parking here." He stammered for a moment finally agreeing to Naday's terms. I jumped out of the car and handed my keys to the young man not knowing what would become of my car. Nadya and I, briskly but mindfully, walked to the concert hall and quietly made our way to our seats. Despite having missed the first hour of the program, I sat down, made myself comfortable and settled in for remaining two hours. I looked down onto the stage where the grey-haired Kabat-Zinn occupied a relatively small-carpeted space in the front of the large stage. He sat forward in his chair and said he would like to share with us a poem. The poem's title was "The Guest House." I smiled. For the remaining time, Kabat-Zinn's words absorbed me and I enjoyed the serenity during the moments of silent meditation in a concert hall filled with people. I did not think about the traffic or my car or the drive home. I simply stayed present to what was happening in the moment. 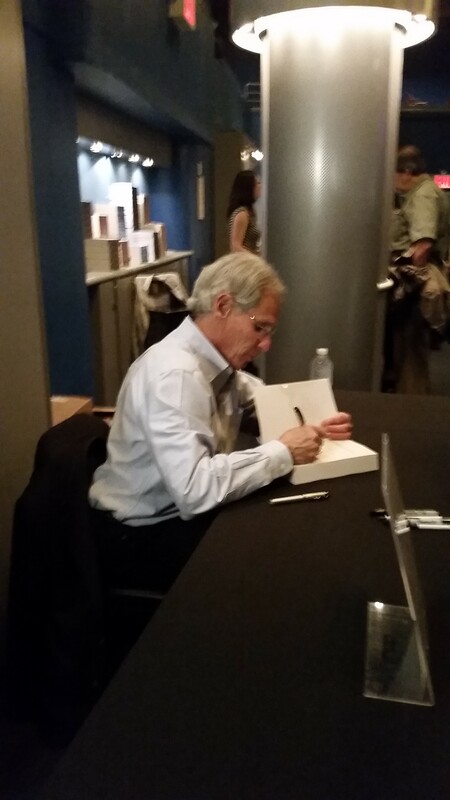 When Kabat-Zinn finished his talk, Nadya and I waited patiently inline to meet the very approachable and kind man. He signed our books mindfully despite the late hour and the long line behind us. He then graciously allowed us to take a picture with him while he smiled genuinely. As we walked out of the hall, I realized that while we may have not have been physically in attendance for the first hour of the program we actually were present for the entire evening. Our chaotic, yet peaceful journey to be present and meditate with Jon Kabat-Zinn was just as much a part of our mindfulness practice as being in his presence in the concert hall. Every day and in every moment, all of us are afforded the opportunity to practice mindfulness whether we are sitting in traffic or sitting in a quiet hall with a mindfulness guru. Oh, and by the way, my car was waiting for me unscathed at the parking garage and we made it back home with no traffic and in record time.